It's not easy making a living in Colombia where the unemployment rate has now risen to nine percent, and sometimes a bit of creativity is called for. 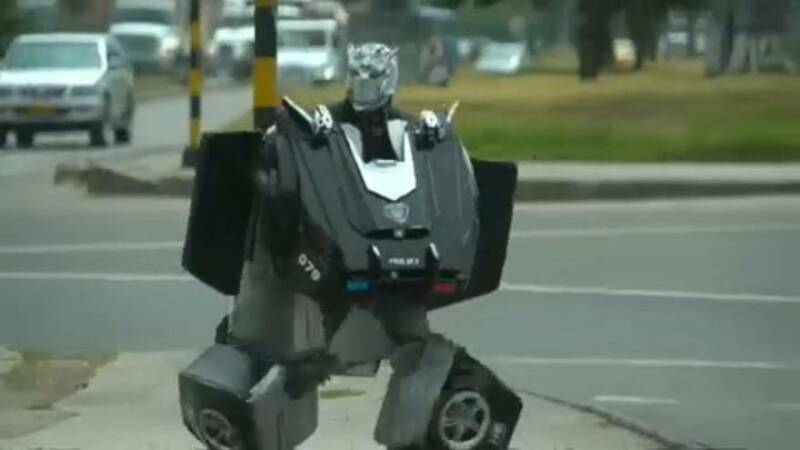 Enter the "Transformer," a waiter turned street artist who poses as a police car turned officer and comically patrols the city's streets in search of handouts. Luis Rene Cruz wasn't making enough money to sustain his family, so he decided that he had to dream big, just like people do in films. With 200 U.S. dollars in savings, and taking three months, he created a Transformer costume out of cardboard boxes, paint, screws, silicone and a mask inspired by the film franchise. Now, as commuters wait impatiently for the red light to change, Cruz provides a bit of comic relief to their daily commute. But there's serious competition at the lights, not least from a wave of desperate Venezuelan migrants who've fled the economic crisis in their country and who are also looking for handouts.